Halfway through 2013 I found my first grey hair and my first fine lines appeared under my eyes – absolutely terrifying! Maybe it was the stress of buying a house and wedding planning, or maybe it’s really just age! I’ve been quite lucky with ‘ageing’ so far; I don’t really have any wrinkles or much else to complain about, but as much as I hate to admit, I’m not far off from my 30s and I guess fine lines and grey hairs were, sadly, to be expected by now, right? So I’m making it my mission for 2014 to look after my skin a bit more, and one area I’m definitely lacking is the eye-zone. 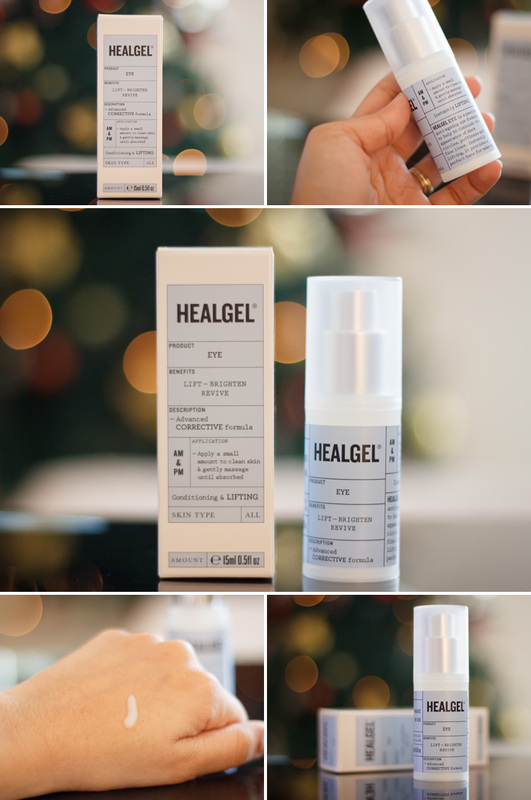 Today I have a review of a little product that has caused quite the stir over the past couple of weeks around the beauty blogosphere; meet HealGel Eye. 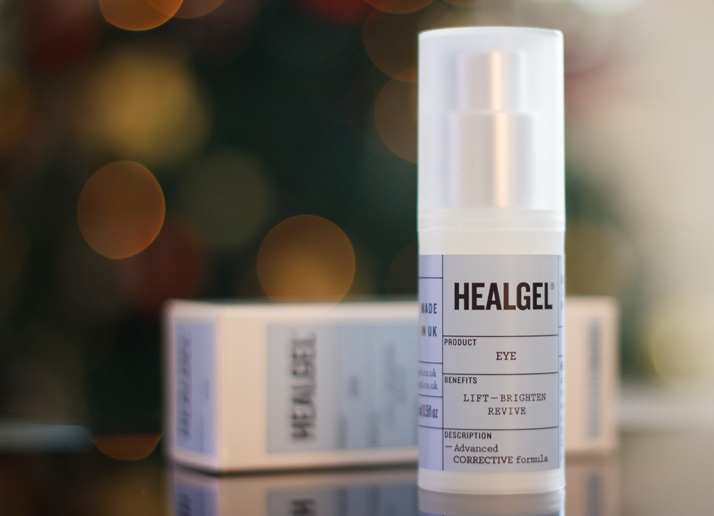 HealGel Eye is an aqueous gel which helps reduce the appearance of dark circles, puffiness and fine lines, and it’s packed full of ingredients which help soothe and protect the skin, including arnica and hyaluronic acid. The first thing that caught my eye was the unusual medicine-like packaging, which surprisingly I quite liked! No glitter, no clever titles, no confusion. HealGel comes in a plain and simple informative box with the name of the product, its description, where and how you’re supposed to used it, what’s in it, who made it, and where to find the people who made it. Straight to the point and I like this refreshing approach to beauty products! 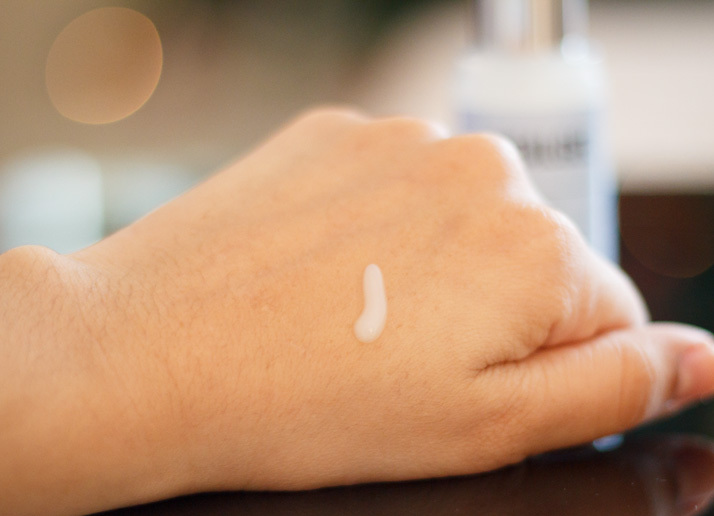 You really have to work this gel into the skin before it’s fully absorbed; it’s not one of those products that evaporate immediately after you apply it, which is a good thing. You can tell that it’s actually working into the layers of the skin, instead of staying on the surface, but once you blend the gel fully, there’s no stickiness or residue left. 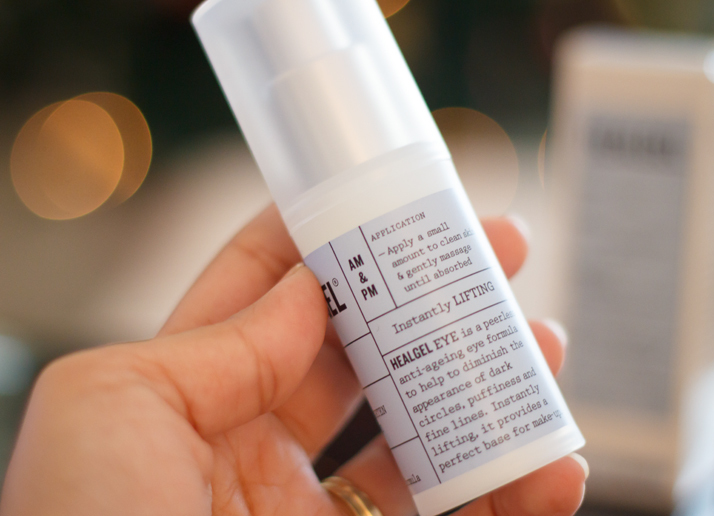 After it’s absorbed, HealGel Eye left my eye-area feeling much firmer and super soft with a boost of elasticity; I followed with concealer, and my under-eye area looked really smooth with much less visible fine lines! It’s like the product created an invisible film between my skin and the concealer. I can see this becoming a crucial part of my makeup routine, as it really prepares the delicate eye-area for makeup application and it doesn’t leave a greasy residue behind. I’ve been pretty ill over the past week or so, and my eyes have been extremely sensitive and puffy. 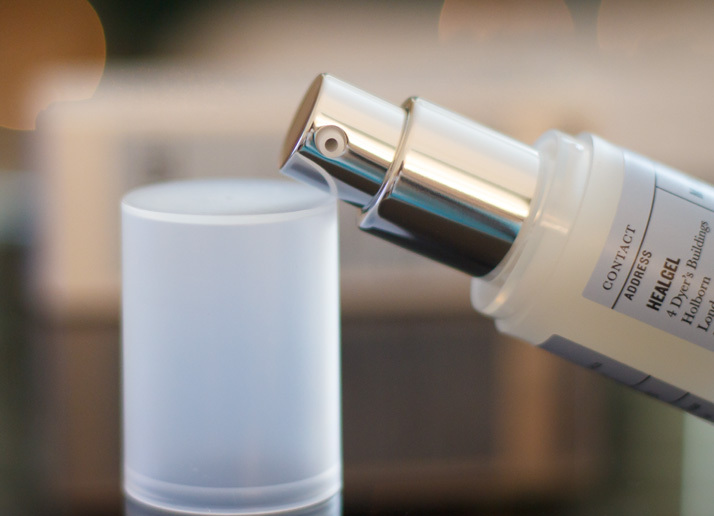 After using this gel, I felt like the puffiness around my eyes was much less prominent; it has a refreshing and cooling feel to the skin – almost like the feeling of a really minty toothpaste in your mouth! Even though the cooling sensation is quite noticeable, it didn’t irritate my skin or eyes – it felt rather lovely! Overall I’m impressed with HealGel Eye and I predict this will feature on several monthly favourites videos. I recommend this if you want to smooth the appearance of fine lines under eyes before applying makeup, and also if you want to reduce puffiness under the eyes. I really don’t have anything bad to say about this product apart from the price of nearly £35 for 30ml! Unfortunately for my bank balance, it’s worth every penny. *PR Sample sent for review consideration. Accessorize bracelet: A great bargain! £35 for 30ml isnt that bad! Considering somthing like la roche posay can be £15/£20 for 15ml its good, I will be purchasing this very soon! Thanks!